With great pleasure, we announce the availability of an incredibly entertaining documentary video about the amazing array of migrant and resident birds in New York City’s Central Park and the birders who watch them. More than 100 species of birds and 20 birders are featured in the film, some rather surprising. Our own Tony Pagano, peripatetic member of the SVBC, was the primary cinematographer for the film featuring stunning shots of warblers, tanagers, thrushes, hawks and more. It also delves into the often-asked question, why is it that people watch birds? Two humorous motives explored by the filmmakers are obsession and work-avoidance! Anyone who has ever looked at a bird and said “Wow!” will love this movie. HBO Documentary Films bought it after its debut at the SXSW (South by Southwest) Film Festival in 2012, and it has been featured at many events and festivals since then. Visit the film’s website here for more information, including how to purchase the DVD. 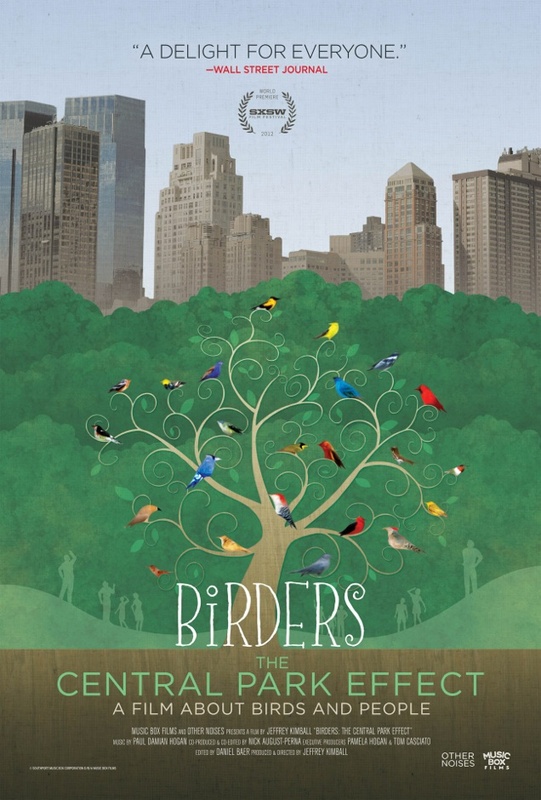 This entry was posted in Special Events and tagged Birders: the Central Park Effect, documentary film about bird and birders, Videographer Tony Pagano by AWOlivieri. Bookmark the permalink.